BRIDGETOWN, Barbados, 16 December 2016 (CRFM)— There is still a long way to go but experts meeting here Thursday expressed optimism that slow but steady progress was being made toward introducing region-wide laws, rules and regulations intended to make Caribbean fish and seafood not only ready for world trade but safe for Caribbean tables. The experts, drawn from fisheries, legal affairs, food health and safety and standards agencies across ten countries in the Caribbean Forum of ACP States (CARIFORUM), ended two days of deliberations on model legislation, protocols and guidelines for health and food safety related to fisheries and aquaculture. 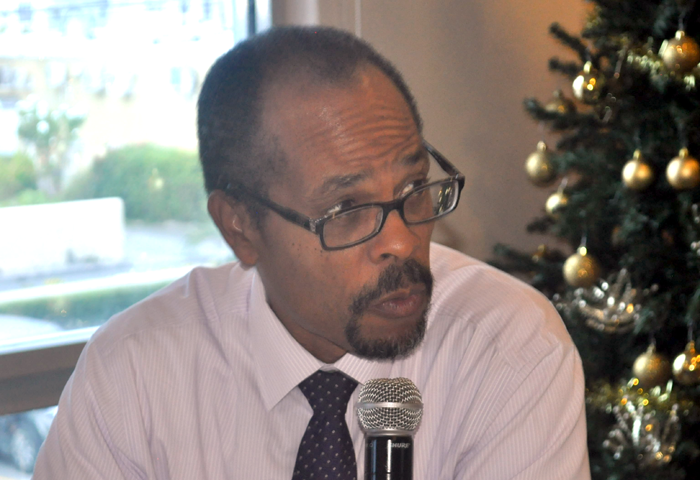 “Still a long way to go but making progress,” said Executive Director of the Caribbean Regional Fisheries Mechanism (CRFM) Milton Haughton at the workshop at the Accra Beach Hotel. Haughton said that following the workshop the draft model legislation is to be reviewed, and followed by another round of consultations held with stakeholders and a legal team before it can be finalised and submitted to regional policy-makers for consideration. While not offering a timeline for the implementation of the legislation he stressed that improved standards and systems for sanitary and phytosanitary standards (SPS) in fisheries are critical to the region socially and economically. "We will reap good economic benefits when we have stronger systems that will assure, just not the safety but the quality of the products that we want to export. We will be able to access markets, international markets that we are not now able to access ," Haughton said. 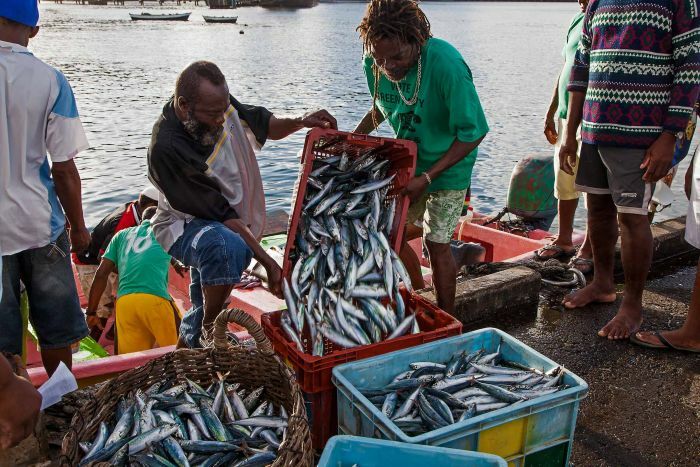 The CRFM said the region’s export trade in fish and seafood trade earns about 315 million US dollars annually – a business that could boom or bust depending on how the region meets the global challenge of SPS standards. British legal expert Chris Hedley, the project’s lead consultant, said the greatest challenge in drafting the legislation was making it nimble enough to adapt to rules and regulations which are frequently changing in the European Union. Hedley cautioned that the United Kingdom following Brexit may soon be introducing its own standards as well. 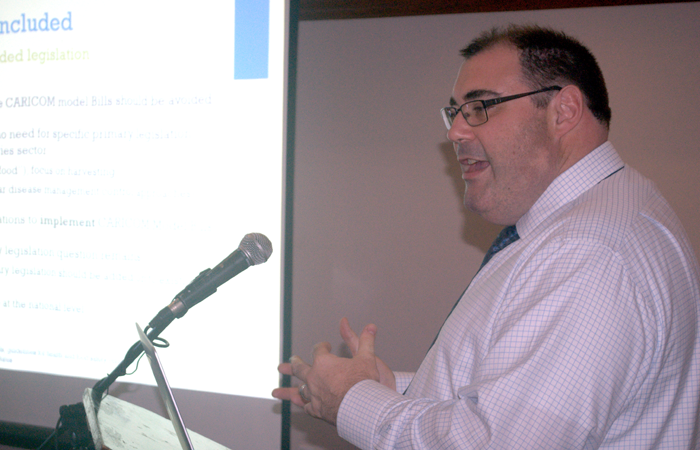 "It is about trying to identify what things change all the time and try to make sure there is a flexible methodology as it were for updating those and making sure we make it as user friendly as possible for the government trying to implement these rules," Hedley said. 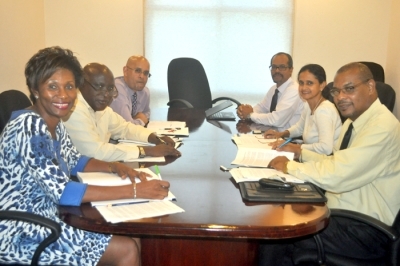 After final consultation and approval by the Belize-based CRFM, the region’s fisheries agency, the model laws and policies will then be recommended to CARICOM’s Council for Trade Economic Development (COTED), the regional bloc’s forum of trade ministers, as well as other CARICOM bodies. The model fisheries and aquaculture SPS legislation would have to be enacted in each exporting nation. During the 18-month-old project, the model legislation has been developed in consultation with policymakers, fisherfolk, processors and other industry players. Experts said the countdown is on towards the end of voluntary compliance with EU food safety standards, considered among the toughest in the world. Failure to meet EU standards would block CARIFORUM countries from tapping into niche markets overseas and boosting foreign exchange earnings, they stressed. Investigations by the consultants on the project have exposed large gaps in legally binding protocols managing food safety throughout the region. 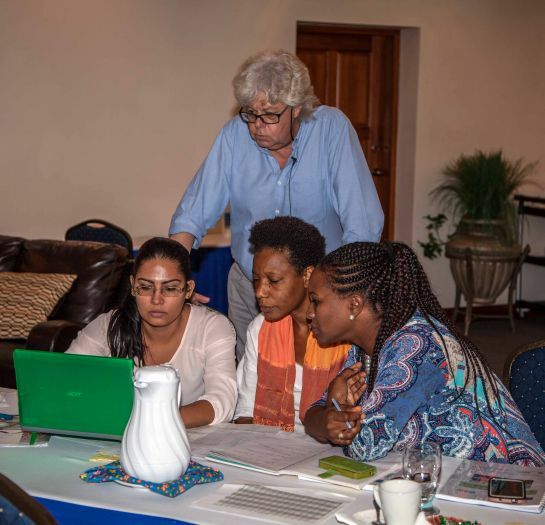 The two-day meeting was the high point of a European Union-funded project to help CARIFORUM countries introduce laws, regulations and a governance system to guarantee safe seafood for export to EU markets and beyond. BELIZE CITY, BELIZE, Friday, 16 December 2016 (CRFM)—A two-week training covering “Food safety in the fishery sector” and “Fishery products laboratory testing” was delivered to 30 inspector and laboratory analysts from 15 CARIFORUM countries during the period 28 November to 9 December 2016, by four international experts. The training, which covered inspection, control and testing in the fishery sector, was based on eight operational manuals developed under a project funded by the European Union (EU). The training was organized by the Caribbean Regional Fisheries Mechanism (CRFM). Food safety hazards, best international practices in fish inspection at each stage of the supply chain, controls in aquaculture, and traceability as well as modern approaches to laboratory testing and accreditation were among the key areas addressed. Particular attention was paid to explaining the sanitary requirements for exporting fishery and aquaculture products to the EU and markets in other developed countries. Practical work helped the participants to understand the role of rapid and field testing, to enable better decision-making on the safety of fishery products. 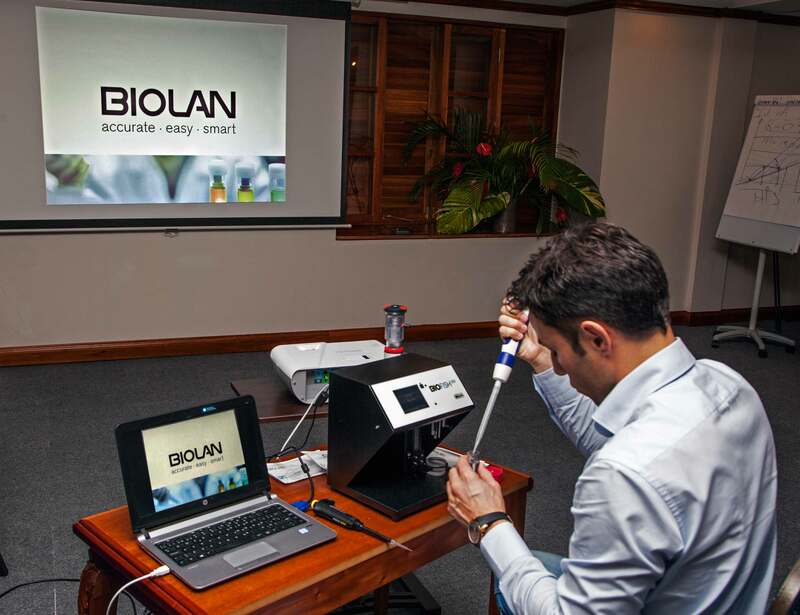 After the course, rapid testing equipment was donated to participants to use in their home countries, and modern histamine testing equipment for assessing the safety of products such as tunas, was also donated to the Fisheries Department of St. Vincent and the Grenadines. Participants were drawn from Antigua and Barbuda, the Bahamas, Barbados, Belize, the Commonwealth of Dominica, the Dominican Republic, Grenada, Guyana, Jamaica, St. Kitts and Nevis, St. Lucia, Suriname, St. Vincent and the Grenadines, and Trinidad and Tobago. 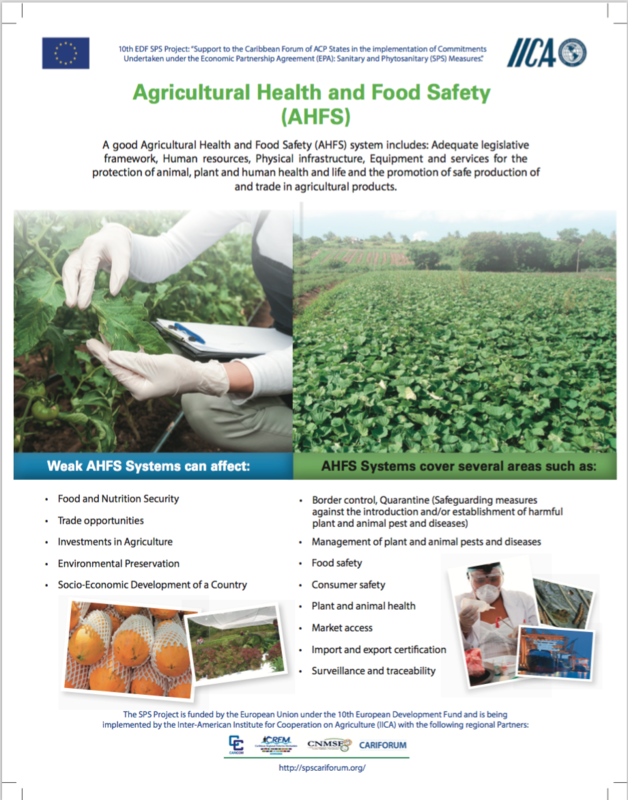 Representatives from the Caribbean Agricultural Health and Food Safety Agency (CAHFSA), based in Paramaribo, Suriname, also attended. The training was highly appreciated by all the participants. 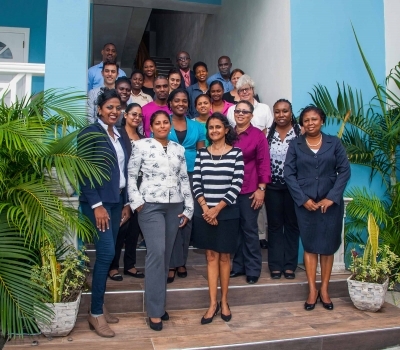 “This course will allow the streamlining of our laboratory testing capabilities and has provided a better understanding of what the EU wants,” said Avis O'Reilly-Richardson, Senior Chemist from the Food Safety & Technology Laboratory, Bahamas. “There are many areas in my country where there are no controls; e.g. imports, fishing vessels, etc. The information received as well as the discussions with other participants will help me to develop systems for these controls in the future,” another participant said. The project under whose umbrella the training falls is titled, “Capacity Building of regulatory and industry stakeholders in Aquaculture and Fisheries Health and Food Safety to meet the Sanitary and Phytosanitary Measures (SPS) requirements of international trade.” It was funded under the EU’s “10th EDF Sanitary and Phytosanitary Measures Project and delivered under the technical leadership of the Inter-American Institute for Cooperation on Agriculture (IICA) and the Caribbean Regional Fisheries Mechanism, supported by a team of consultants from Megapesca in Portugal. The aim is to continue to help CARIFORUM countries to improve the safety of fish and fishery products for consumers in national and export markets. 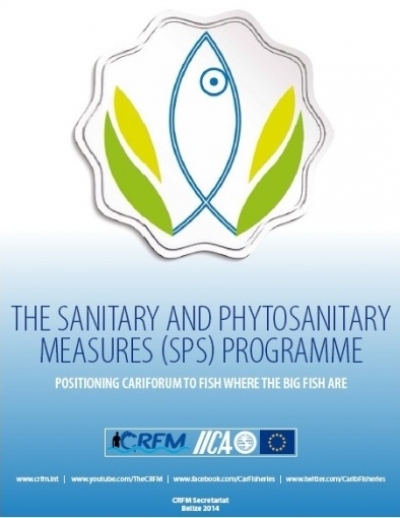 Apart from the delivery of these training courses, the capacity building activity, which started in September 2016 and will run until January 2017, has prepared six new manuals to help fish inspectors apply the best international practices to the inspection of fishing vessels, processing establishments and aquaculture facilities. 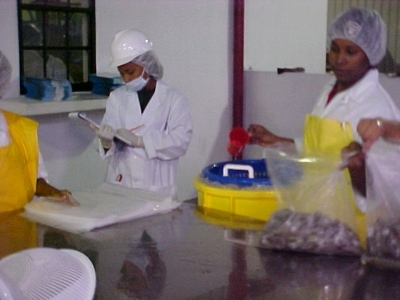 The subjects covered include Hazard Analysis and Critical Control Points (HACCP), traceability, and for the first time, a compendium of food safety hazards encountered in Caribbean fishery products. In addition, two manuals were prepared under the project for laboratories on the testing of fishery products to ensure food safety and the accuracy of laboratory test results. The fishery sector is important for many countries in the region, as a source of employment and export revenues. Overall, in 2015, the CARIFORUM countries exported fishery products worth US$378 million to many countries around the world. Whilst 89% of this was from just five countries (Bahamas, Belize, Guyana, Suriname and Trinidad and Tobago), the fishery sector of many other countries in the region delivers supplies directly to their tourist sector. The continued economic importance of the fishery revenue, therefore, depends on ensuring that products meet international sanitary standards. Governments in the region are, therefore, very interested in ensuring that regionally important food safety hazards, such a ciguatera and histamine, are under control. The EU project “10th EDF Sanitary and Phytosanitary Measures Project” has the expected result that capacities will be strengthened at the national and regional levels for health and food safety requirements of fisheries and aquaculture (inland, marine) products, which will also ensure safe food standards for fisheries products in the region, while meeting the requirements of the region's trading partners worldwide. A popular proverb tells us that if you give a man a fish, you feed him for a day; but if you teach that man to fish, you feed him for a lifetime! For thousands of years, seafood has been respected all over the world as a good way for people to feed their families and also put some money into their pockets. In fact, fish is the food product that is sold most in international markets, with tropical shrimp being among the most valuable fishery commodity. Today, although activities related to fisheries continue to provide an important source of employment and export revenue to many African, Caribbean and Pacific (ACP) countries, there has been rising concern over food security as well as the safe handling of seafood products. Food security refers to a country’s ability to produce enough wholesome and nutritious foods to supply to all its’ people, at all times. ective food safety systems that will provide better ways of handling seafood products; and that would guarantee a brighter future for the fisheries sector. 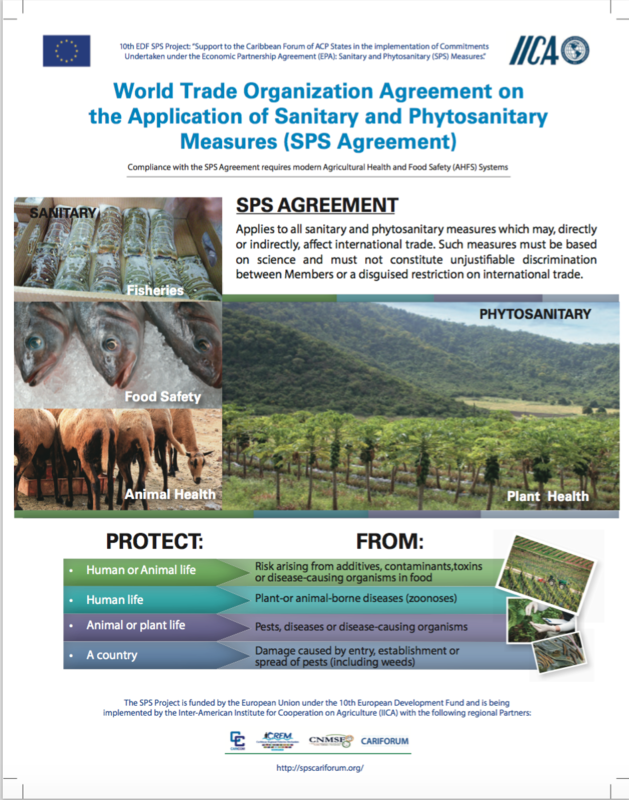 the Sanitary and Phytosanitary (SPS) Measures Programme is a big step in the right direction.